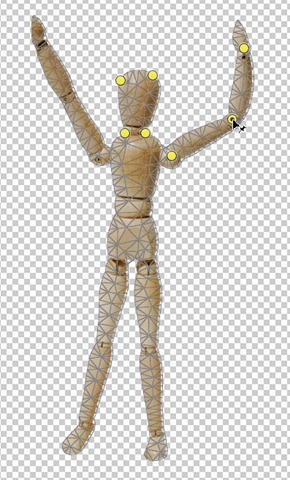 Puppet Warp is one of the much talked-about new features in Photoshop CS5. Puppet Warp is a little bit like the Liquify filter. It works by placing a mesh over an image. Youâ€™ll use the mesh to place pins where you want to control movement or to ensure there is no movement â€“ literally pinning part of the image to the document window.Â Puppet warp can be applied to â€œnormalâ€� layers, type layers, shape layers, Smart Objects and vector masks and the good news is, and itâ€™s fairly simple to use. The results from this command can range from subtle reshaping or retouching to extreme distortion. 1. Open up an image that you want to apply a warp to. Iâ€™m using this image which I downloaded for free from Stock Xchng.Â You can get it here. 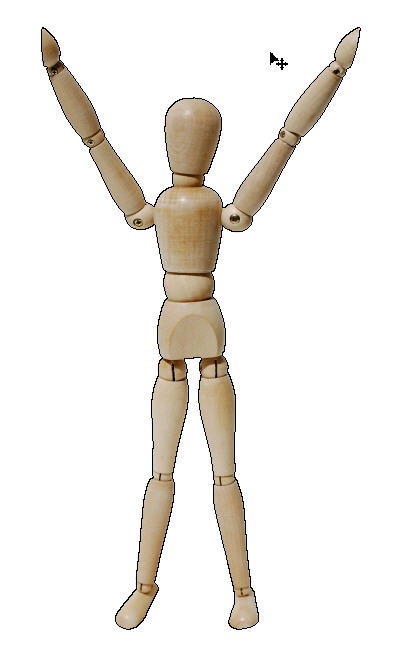 Itâ€™s a huge image so Iâ€™ve cropped it and removed a large chunk of white space on the left side of the dummy. 2. As mentioned previously, Puppet Warp works on nearly every type of layer, but it will not work on a background layer. You will also get a better result if the object you want to warp is isolated on its own layer, so thatâ€™s what weâ€™ll do now. Select the white area around the dummy using the Magic Wand tool (W), then pressÂ Shift + Ctrl + I (Windows) or Shift + Cmd + I (Mac) to invert the selection so that the dummy is selected. 3. Now to put the selection on its own layer, press Ctrl + J (Windows) or Cmd + J (Mac). 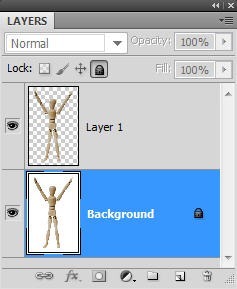 In the Layers palette you should now see the dummy on itâ€™s own layer with transparency around it. 3. Make sure your new dummy layer is selected (not the background layer), then choose Edit > Puppet Warp. 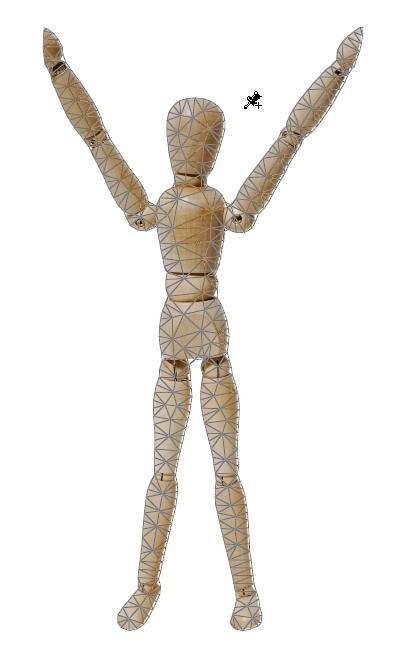 A mesh appears over the dummy. There are several options available in the Options bar at the top of the screen. â€¢ Mode: Determines how elastic the mesh is. Rigid, as the name suggests is not very stretchy, while Distort will give you an ultra-stretchy mesh. Normal lies somewhere in between. more stiff, as with human appendages. â€¢ Expansion: Expand or contract the outer edges of the mesh. â€¢ Show Mesh: Deselect to display only the pins, and not the mesh. 4. Turn off the visibility on the background layer. Simply click to add a pin to the areas of the image that you want to anchor. 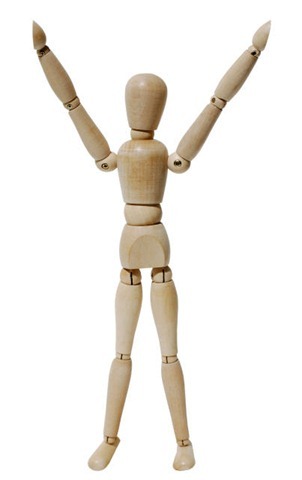 I want to bend the dummyâ€™s left elbow, so Iâ€™ve put down pins around the head, upper body and shoulder and wrist as anchors which will not move. 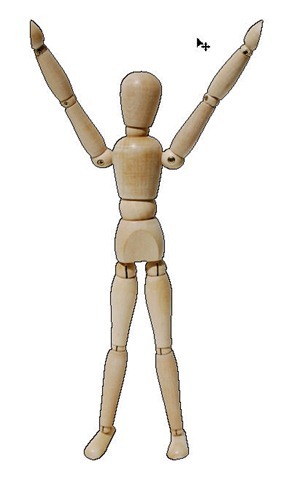 Then click on the elbow joint to add another point and drag to distort this point. When youâ€™re finished dragging hit Enter/Return on the keyboard to commit the puppet warp. If you want to cancel a puppet mesh, just hit the Esc key. If you want to remove a pin, click on it and then hit the Backspace key. 5. As well as dragging pin points, you can also rotate around a pin. 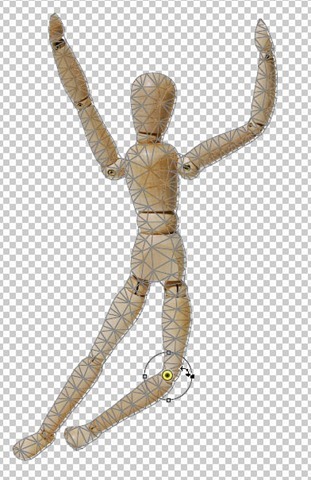 Choose Edit > Puppet Warp again to put the mesh over the dummy again. Click on the dummyâ€™s left knee to add another pin, then hold down the Alt (Option on the Mac) key and position your cursor near, but not over, the pin. Drag to rotate. Your degree of rotation appears on the Options bar. And thatâ€™s Puppet Warp. Itâ€™s probably not something youâ€™ll use everyday but it is a very useful tool for distorting images and easier to manipulate than the Liquify Filter.